To claim this profile, please confirm you are Aizlyn Reyes. To follow this profile, please let us know your relationship to Aizlyn Reyes. Aizlyn was tagged in the video "Aizlyn Reyes's highlights Southside High School." 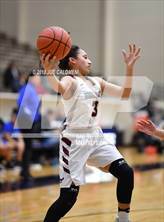 Aizlyn's basketball stats have been updated for the loss vs. Tivy. 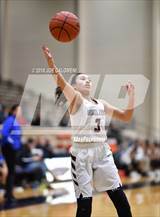 The Highlands varsity basketball team lost Thursday's neutral playoff game against Tivy (Kerrville, TX) by a score of 63-40. Aizlyn was tagged in the video "Game Highlights vs Southside ." Aizlyn's basketball stats have been updated for the win vs. Southside. The Highlands varsity basketball team won Monday's neutral playoff game against Southside (San Antonio, TX) in overtime by a score of 78-70. Aizlyn was tagged in the video "Aizlyn Reyes's highlights Alamo Heights High School." Aizlyn was tagged in the video "2021 AIZLYN REYES #21." 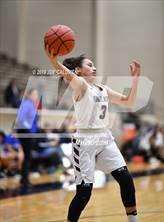 Aizlyn's basketball stats have been updated for the win @ Alamo Heights. RESULTWin Girls varsity basketball @ Alamo Heights. The Highlands varsity basketball team won Tuesday's away conference game against Alamo Heights (San Antonio, TX) by a score of 67-43. 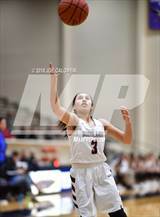 Aizlyn was tagged in the video "Aizlyn Reyes's highlights Lake Travis High School." Aizlyn was tagged in the video "5 Steals vs Jefferson." Aizlyn was tagged in the video "Aizlyn Reyes's highlights Jefferson." Aizlyn's basketball stats have been updated for the win vs. Jefferson. The Highlands varsity basketball team won Friday's neutral conference game against Jefferson (San Antonio, TX) by a score of 65-39. Aizlyn was tagged in the video "Aizlyn Reyes's highlights Fox Tech High School." Aizlyn was tagged in the video "3 Steals vs Fox Tech ." Aizlyn was tagged in the video "Aizlyn Reyes's highlights Lanier High School." Aizlyn's basketball stats have been updated for the win vs. Fox Tech.